Here is the story from then, and now. Jim Baugh Outdoors TV concluded it’s 25th year of broadcasting in 2014. Below is a history of the program and how it got started. The early and later years of the TV show are also featured in “HOOKED”, the funny behind the scenes stories of filming a southern outdoor television show. Many of our program segments are available on You Tube before and after the shows broadcast. We will soon be approaching over 200 videos for online viewing. Full HD programs, re mastered archives spanning our nearly three decade history, and “In The Field” interesting behind the scenes snippets of interesting things we see and do on the road. It is all there on Jim Baugh Outdoors New You Tube Channel. How does a progressive rock \ jazz keyboard player who makes a living performing close up magic, end up hosting and producing a national outdoors program? This award winning show touts it’s original soundtrack, videography, scripting, directing, editing, authoring, and graphic design to a national audience. The work of five people is all done by one rather busy person, Jim Baugh. It takes a very unusual background in order to perform all of Jim’s tasks. Jim Baugh started studying magic at age six, and was studying organ by age eight at Hammond Organ Studios. When Jim was almost sixteen, he worked in the Paramount’s Kings Dominion (then Taft) Magic shop demonstrating and selling magic tricks. Due to the packed crowds around the magic counter, the manager suggested to Jim to audition for the entertainment department. The following year, Jim was the full time street magician at Kings Dominion. For one summer, his duties also included hosting The Great American High Dive Show. Jim continued to work for the company for six years, and preformed at numerous nightclubs. He preformed for such stars as Marie Osmond and The Doobie Brothers, and eventually was the house magician for the 2001 Supper Club. During his tenure with Kings Dominion, Jim studied the high art of close up magic for three years under one of the best close up magic artists in the world, Woody Landers. This is where Jim really honed in on the close up work, basically living and breathing it night and day. Six shows a day at Kings Dominion, and performing at clubs during the evening. Jim eventually would end up in Atlantic City performing at Resorts international Casino. Later he would open up his own magic bar in Richmond VA, moving into the old Comedy Club’s space, and call it, Jimdini’s Magic Room. Jimdini’s Magic Room was located under Matts British Pub in Shockoe Slip, next to the famous Tobacco company restaurant. While Jim Baugh was busy entertaining with close up magic, he was also busy doing something else, music. Jim came to be known as one of the best keyboard players in the area. By the age of 17, he already had purchased a Hammond C-3 with a 147 Lesli cabinet, and was playing Keith Emerson licks wherever he could. During high school, Jim would be playing in the Friday night Football game, then play piano during the intermission for the Saturday night high school play. Weight lifting was also one of Jim’s passions. He held the bench press record for 320 pounds during his senior year, and to this day holds the high school squat record of 600 pounds free weight. When Jim was almost 19, he co-formed a progressive rock group called Ukiah, and performed all original material at various college campuses. This was during the age of disco, and the future of a progressive rock band was shaky at best. Jim left the band he founded after about two years. Ukiah went on to play for another two years, then disbanded. Between music, magic, and a lot of snow skiing trips, he attended J. Sergent Reynolds Community College in Richmond VA. Pete Baugh, his father, insisted on a college education for Jim, so Jim Baugh marched down to the VCU school of music for an audition. In a small practice room sat one of Virginia Commonwealth University’s top music professors and classical performers, Dr. Landon Bylu. “What are we playing today Jim, do you need some charts for Bach?’ Jim said no, he would just play a little piece he wrote. After fifteen minutes of pure finger aerobics, Landon admitted Jim into the VCU department of music based on technical ability alone. Jim could simply rip the ivory off the keys, pure talent. Jim Baugh would receive a Bachelor of Music degree from VCU four years later. His major was applied synthesizer with a minor in Piano. For the next two years, Jim was employed at Soft 96 radio as an account executive, selling commercial spots to the Tri-City area. He had an idea about packaging his entertainment background, with some radio spots, to create an entertainment package for the station to sell. Well, it worked, Jim would perform and also hire other entertainers he had known from Disney and Kings Dominion. Car dealerships liked this entertainment package, and bought it on a regular basis. With his music background, Jim also helped program the Sunday night Soft 96 Windham Hill show featuring artists from the Windham hill label What Jim loved to do at the Radio Station more than anything else, was to write copy. He would write copy all day, for himself and other account executives. Jim also had a distinctive narrative voice, and would also be the talent on some radio spots. The writing skills and voice over work would later prove to be an enormous asset to what would later become Jim Baugh Outdoors television show. Now we are at the last leg before Jim begins on what would be a life long career. After Jim’s two-year stint with Soft 96 radio, he was hired as the General Manager for the Blab Television Network. This was a somewhat syndicated live call in talk show format, where businesses would go on air, and take questions about their product. When Jim was hired, his responsibilities were to improve the on air look of the station, and of course program development. In addition, Jim would produce and air his own entertainment\magic program that would air on a weekly basis. 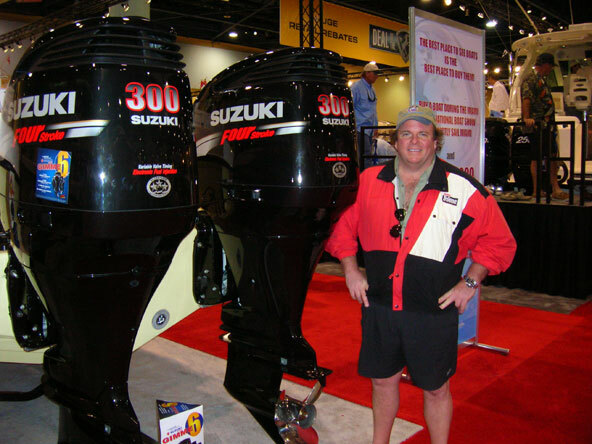 One of the most popular programs Jim produced at Blab was a live call in talk show called, the Fishing Line which featured a local Bass fishing guide service as host. 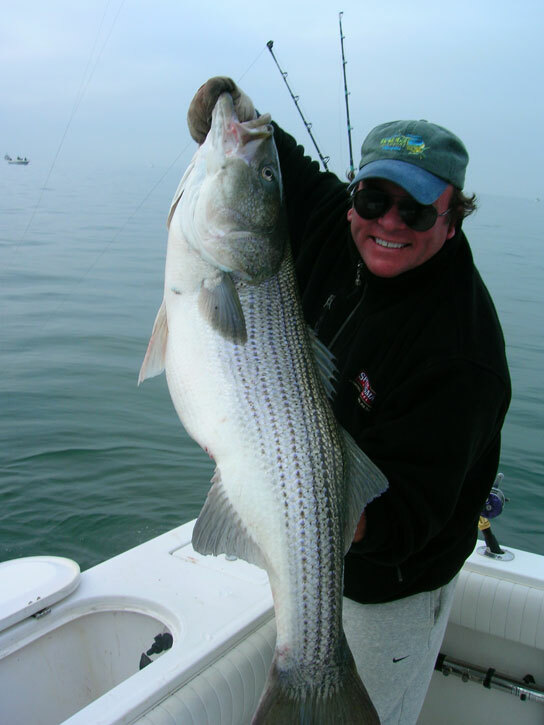 Jim was raised by his dad fishing the Chesapeake Bay, and had literally grown up on the water. It is hard to believe, but Jim Baugh brought in some rather heavy hitters to appear on his entertainment\magic show. His entertainment background was solid enough to land such guest as Robert Goulet, Emo Phillips, Paula Poundstone, and even Scotty from Star Trek. Program sales at the station began to increase, and Jim’s wife Nancy was about to have their second child, Casey Baugh. All good things do change, the station was sold, new management came in with their own people, and Jim was left at the hospital holding his brand new baby, Casey Baugh, neither one of them had a job. Being unemployed, with a wife, a mortgage, a baby, and a two-year-old son, Jim decided to give self-employment a try. He had the idea to produce a commercial broadcast fishing show called Fishing Virginia. This concept had never been done before in Virginia, Jim had the contacts and the Television experience, so he figured he would give it a try. Jim Baugh gave himself 90 days to pull it together, if he did not sell enough sponsorship to launch the program, he would quit and move on. He called every contact he knew through television and radio to try to land enough contracts to produce Fishing Virginia. After three months of sales calls and presentations, Jim had the contracts he needed to begin production. And begin he did. Once local sponsorship was obtained, the first thing Jim Baugh did was sit down with a legal pad and watch every single fishing show that was on TV. Even back twenty five years ago, there were a lot of programs on, mostly syndicated on cable. What he did was notate every segment of each program, then figure out each shows format. Jim would take the formats that he liked, combine them, to make a totally different format for an outdoor show. When Jim finished outlining his format for Fishing Virginia, he then compared it to every single show that he had studied. What he found was that he had come up with a format that was totally original, and one that would allow for great diversity within the show. Over the years the show has had many changes and improvements, however the original format that Jim had come up with has never changed. 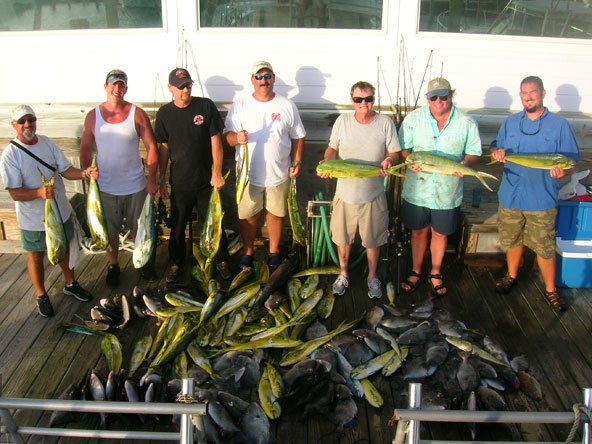 After the first 13 Fishing Virginia programs were produced, it was time for the public to see Jim’s efforts. Manager of the local Fox station told Jim he would air his show for a price, and that Fishing Virginia would never show in the ratings. When the first Neilson ratings came out, Fishing Virginia did show up, and it showed it had a big audience. Fishing Virginia aired on the local Fox station for a year, when the NBC affiliate Channel 12 contacted Jim and wanted the show broadcast on their station. Fishing Virginia aired as a part of a three-show block on Sunday mornings at 7:30. Jim’s program was airing after Frank White’s Southern Sportsman, a show that Jim had watched since he was a child. 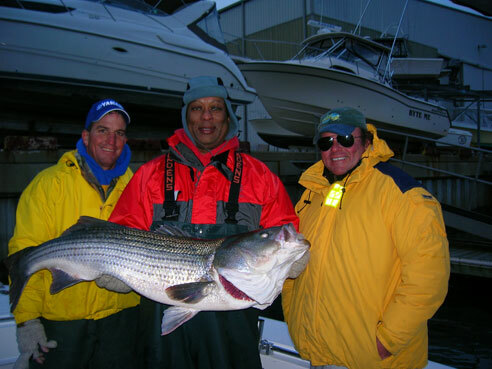 Jim Baugh later met Frank White on several occasions, and still considers Frank to be one of the most entertaining outdoor hosts in the biz. Fishing Virginia blew the Nelson ratings off the charts, pulling higher numbers than the NBC morning news. However for Jim, high ratings did not mean high dollars. Being a small independent family business, Jim could never sell the show locally for what it was worth. With expensive production and increasing air time cost, it was time to cover more markets. Syndicating throughout the state was easy for Fishing Virginia, everyone loved the show and it was a top quality production. The problem that Jim found was that even airing state wide, he needed more production dollars to improve the program. Jim Baugh then headed to North Carolina looking for new markets to air the show. No one wanted it or would even consider airing it. The problem was not the program, it was the name, Fishing Virginia. Television stations in Carolina were not going to air a program called Fishing VA. So CEO and father Pete Baugh suggested a name change, he said, “Call it Jim Baugh Outdoors”. Jim told his business partner and father he had NO interest in hosting and self-titling the show. Jim felt since they always featured local fisherman as the host and guest for the show, the program should have a generic name. Well the battle over the name was negotiated on two fronts, Pete Baugh wanted the program to be hosted by Jim and call it Jim Baugh Outdoors. 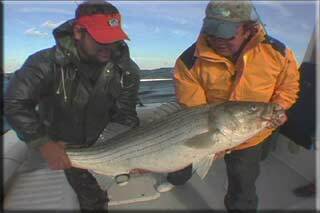 Pete believed that Jim’s experience in entertainment would make for a better on camera appearance rather than continuing to use local fishing guides. A compromise would soon be agreed on. 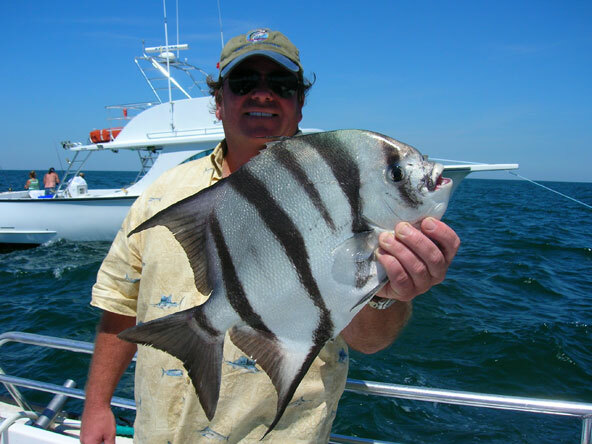 Jim would host the show, but call it The American Angler, Offshore and Inland. Pete Baugh hated the name, but agreed only if the offshore and inland was dropped. So Fishing Virginia became the American Angler, and Jim Baugh was off to find national sponsors and a national broadcast. It was only about a year into syndicating on various cable stations when Jim and Pete Baugh found out that there was another show called the American Angler. The Baugh’s saw the show, and quickly realized they did not want anyone to confuse their product with the other same named program. Pete Baugh sat Jim down and insisted on changing the name to Jim Baugh Outdoors, it just made too much sense, and so Jim reluctantly agreed. Jim Baugh Outdoors was now hosted, edited, and produced by Jim Baugh. Pete Baugh had a lot of business experience, and provided legal services to his son Jim. Pete incorporated the company, and was CEO of Jim Baugh Productions, Inc. Many things would quickly change. Jim and Pete realized that with mounting production costs, it would be better for the company to try to build it’s own edit suite. So off to the bank, and get deeper in dept. Broadcast editing decks alone can cost between 10 to 70 thousand dollars a piece, and one needs several of them, plus a ton of other gear for shooting and editing. Jim soon began editing his own show which would lead to editing other projects as well. Jim Baugh now began to call on all of his talents he had developed over the years to produce the show. He could not afford a music service, so he produced his own music, and then began selling his soundtracks to other production companies. His background in magic was monumental in helping Jim’s editing style. Television is magic, it is an illusion that manipulates time. Many of the principles Jim used in close up magic, he applied in the studio producing his show. Jim would also write and narrate all of the script for the program. The electronic recording and engineering that Jim learned in college, helped him to engineer his rather complex editing suite. It was these combined talents that would create a formula that greatly increased the quality of the show, and what also began to make it so unique. Jim Baugh Outdoors would later be the first outdoor program ever to air nationally on the Family Channel to over 55 million households. The Family Channel agreed to air Jim Baugh Outdoors based on it’s total production quality and informative content. The New England Sports Network, a premium pay sports channel also contracted to air the show. Jim Baugh Outdoors was also one of the first programs to sign on with the Outdoor Channel and broadcast on the network for many years before eventually moving over to the Sportsman Channel and NBC Universal, then NBC Sports. Jim Baugh is also an accomplished video & audio editor. He has over seven computer workstations in his studio, and was known as one of the fist top Interactive CD author’s in the USA. Jim was a national beta tester for Pinnacle Systems, the largest manufacturer of production gear in the world. Pinnacle used Jim’s interactive CD’s for demonstration purposes world-wide as well as Jim’s streaming media presentations. Jim Baugh has also Beta tested for Artel software’s 3d effects products, and Adobe. 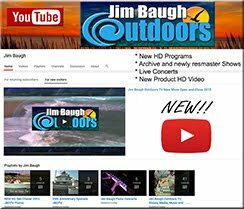 Jim Baugh Outdoors was the first outdoor show ever to be distributed on interactive CD rom and DVD as well as the first outdoor program to stream multiple full length episodes on the internet. Jim has also tutored video editing, interactive DVD authoring and non linear editing to state agencies as well as teaching online. 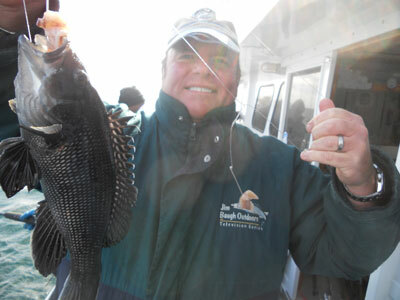 If you ever meet Jim Baugh, you may be surprised that he does not talk much about the fish they catch on the program. Jim believes that the show and the catch speak for itself. All one has to do is watch a few programs, and it is clear that Jim usually has very dramatic fishing footage. He does not falsely embellish fishing products or fishing techniques. The “magic” about the fishing segments in the show is that the program highlights what actually happens during a trip, without over commercializing it. Jim Baugh Outdoors is not about a 30-minute show watching two people catch a few fish. It is about a mix of exciting outdoor travel adventures, wrapped up in a nice package that includes boating and fishing tips, historical destinations, cooking segments, and information that can truly aid the traveling sportsman. People come up to Jim all the time and tell him that they actually plan their family vacation based on a Jim Baugh Outdoors Program. For Jim, that is his goal, to get people excited about adventures in the great outdoors. Jim believes strongly that if people do not spend time together enjoying outdoor activities, then they will never learn to respect it. And if one does not respect something, then one is less likely to take care of it. For years the show had a close alliance with Virginia Tourism and based the program out of Hampton Virginia for close to 12 years. 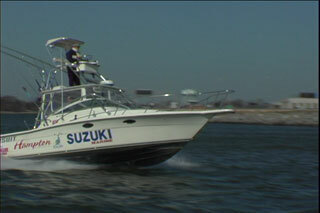 For six of the 12 years JBOTV worked in cooperation with the Hampton CVB and the City to put on the Get Hooked On Hampton Fishing Tournament of which Jim Baugh was the director. Governor George Allen’s wife Susan who worked to promote Virginia State Parks called the Baugh’s “The first family of Virginia’s Outdoors”. 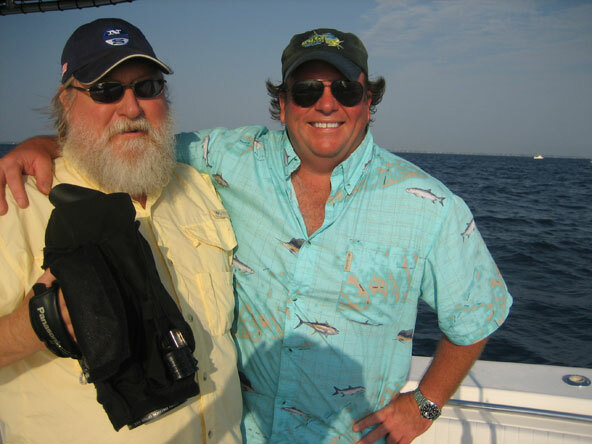 This is mainly due to the fact that Jim was the first to ever produce a syndicated commercial program promoting Virginia’s Outdoors, Fishing Virginia. 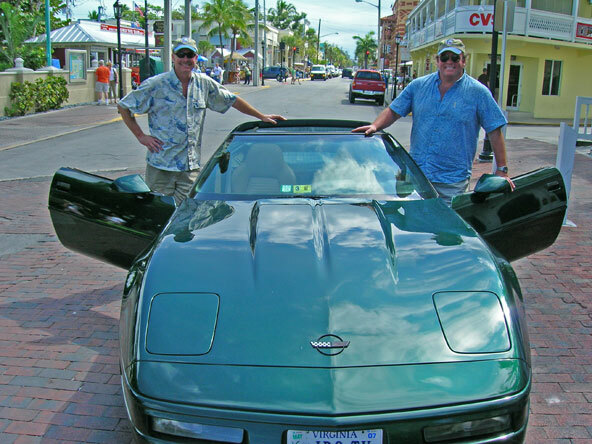 Jim also produced over thirty travel features promoting different locations in the state of Virginia. Jim Baugh was also the main speaker at the Virginia Outdoors conference held by Virginia Tourism. 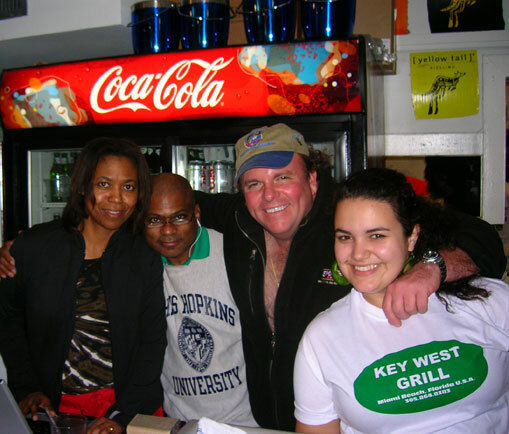 Expanding his culinary skills to the public, Jim opened up in 2011 Jim’s Bar B-Q at Victorian Station where he featured many of his recipes he featured on the TV show. JBBQ was a gourmet smokehouse with live entertainment nightly. After a two year successful run and a demanding television schedule, JBBQ went back to only being featured on TV. 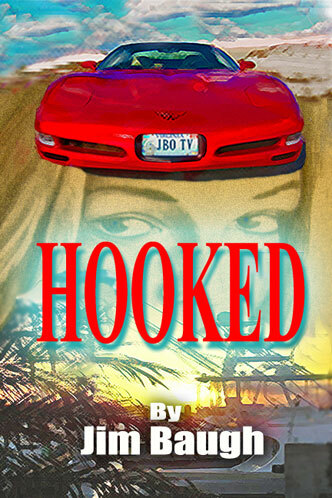 “HOOKED” Jim’s critically acclaimed first novel is available worldwide on Amazon.com, Barnes and Noble, and many distributors and retailers. HOOKED second edition (released August 2014) includes the “Aftermath” memoir, as well as other bonus materials. Jim also finished HOOKED the screenplay in 2016 with co writer Donna Bozza. The project went to market in November 2016 and quickly received interest from several producers. The screenplay is an adaptation of both books Hooked and Aftermath. All 5 star reviews both books! Now entering our next quarter century of producing Jim Baugh Outdoors TV we are celebrating with a new addition to our program. Co-Producer \ Writer Donna Bozza. 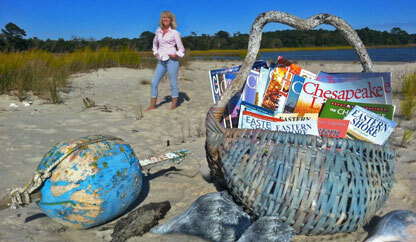 Donna is an award winning writer with over two thousand features published. 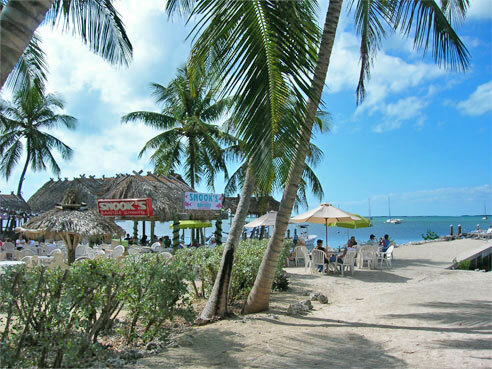 Her focus has been mostly on tourism interest and coastal travel features. We are very excited to have her on board and will be a great asset to JBO TV! Jim Baugh Outdoors remains a family operation. 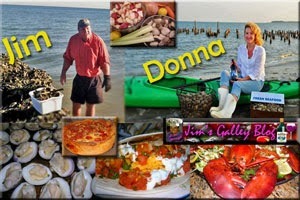 Jim and Donna were married in Cedar Key Florida in 2014 and reside in Mermaid Bay on the Eastern Shore of Virginia where they write and post produce the show. Donna is also the director of an environmental\political watchdog nonprofit organization called Citizens For Better Eastern Shore. Also now filming segments for JBOTV in locations spanning the globe is Jim’s son Ben Baugh. Ben has a masters in geology, certified deep sea diver and films using many of the latest HD Sports Cameras. Ben resides in Denver Colorado. Jim Baugh Outdoors veteran camerman Wayne Baker is an underwater photographer for Lockheed Martin in West Palm Beach and still works with JBOTV during filming Florida locations. Wayne and his lovely wife Susan reside near Jupiter and Wayne also teaches photography classes in state parks. JBOTV uses a multitude of state of the art High Definition cameras and regularly streams live online from many remote locations while filming. Jim Baugh Outdoors will continue to pioneer outdoor television by bringing you the best in outdoor recreation, travel features and entertainment. If you happen to miss the broadcast, you can watch it online 24 \7 on JBOTV You Tube Channel. Many shows and special features are also streamed on social media. 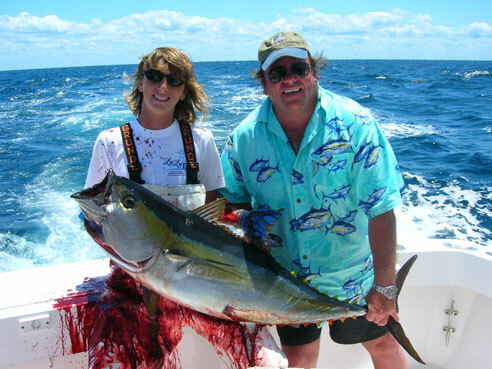 Jim also writes for Coastal Angler Magazine Mid-Atlantic edition. With over 1000 articles published Jim always provides an entertaining , informative and unique perspective on his outdoors adventures. 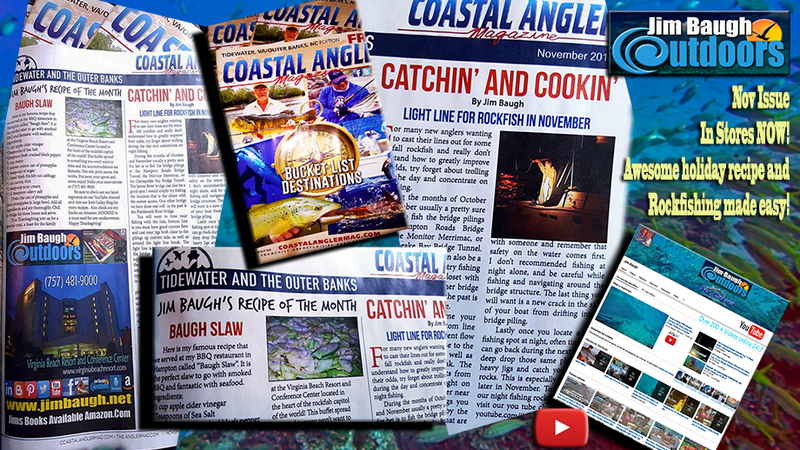 The new Coastal Angler JBOTV monthly column also features one of Jim’s favorite recipes in each edition! In the immortal words of the Southern Sportsman Frank White, do yourself a favor and take a kid fishing! My husband and I wrote a YA novel about Guardian Angels and will be making a full length movie this summer of June 2015. I am seeking a Film man and producer and if its one and the same, great.. I would play main director since I did the final writing of the novel, but would work well to accept direction from good insight, I would also have access to a local artist to do all the music for the film and if you could have it layered into the film with your skilled know how. The script and screen shoots are already in place and the actors and the scene locations reserved. I have the newburgh chief of Police already approved for use in a near bus crash. This will be a very low cost film with a priceless message. I would like to send you more details and recieve a price quote for what you would charge for just your services for a 12 day filming. The filming can be done all in one setting or broken up over the month of JUNE. I will be taking care of all the details : actors/ locations/ props/ vehicles/ . We would film In the Evansville and Newburgh Areas. All in the Month of June 2015. I want to have all edits done by December 2015 so it will be ready to be in Film Festivals by January 1st 2016. You can check out the book on our website at http://www.jnnewmaster.com and the book can be pre-ordered for the release date of Jan. 1st 2015. email me your info about filming at nicolenewmaster@gmail.com Thanks for reading this long long message and hope to hear a reply soon. Always loved your shows. Hard time finding them in areas I’ve lived. Glad too see they are on you tube. I lost track right after you switched boats. I always felt you did an excellent program.